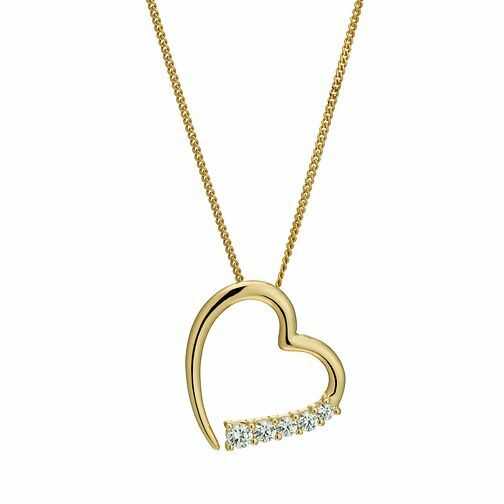 Set with glittering clear Swarovski zirconia, this pretty 18ct gold plated pendant will make a memorable and romantic gift. Silver & 18ct Gold Plated Swarovski Zirconia Pendant is rated 4.4 out of 5 by 7. Rated 5 out of 5 by Anonymous from pretty necklace love this glittering necklace. it is very feminine.